We hope you all had a happy Thanksgiving and are enjoying the leftovers – my favorite! We’ve had a really exciting and productive month. We’re so thankful for our clients and the fantastic work they’re doing on their projects. We’ve also included the replay link for a virtual workshop we did on the 18th called “Why Network Execs say YES!” You’ll be able to hear the entire audio presentation and see the slideshow. To tell the truth… we’re mighty impressed with Lisa Horn and her positive energy, motivation, and the ambitious slate of animated and live-action children show projects she is developing. Lisa previously worked for game show empire mogul Mark Goodson (Family Feud, The Match Game, Password, Concentration, etc.) as the booking agent for his original flagship show, To Tell The Truth so she knows all about discovering characters that make for good television. She also has worked for or produced segments for Montel Williams, Sally Jessy Raphael and A Current Affair. But very early in her broadcast studies at Montclair State College in New Jersey she discovered her greatest passion was for creating and producing children’s programming. Lisa is looking forward to strong meetings with Nickelodeon, Cartoon Network, Disney Jr., Sprout and others at Kidscreen through contacts from Mark and Jeanne combined with her vast booking experience. “I have never been this close to getting my own shows into production,” Lisa predicts. To tell the truth… we have no doubts that Lisa’s imaginative and engaging projects for the young and small among us will have very big results in 2015. Below is the link to the free virtual workshop replay and feel free to forward this email to others who might benefit from the TV biz insider secrets we revealed. You’ll be able to hear the audio presentation in its entirety and view the slide show. How to land face-to-face pitch meetings with Nickelodeon, Discovery Channel, truTV, USA, AMC, Bravo, Fox, and more! How to get more Yes’s than no’s. It only takes one YES! Mark is now a confirmed speaker at the NATPE television conference this January, and if that PLUS selling your show and the weather aren’t enough to get you flying or driving to Miami, how about a great discount on attending that conference or the Kidscreen Summit? See info below. The title of Mark’s talk, BTW, is “Talent vs. Concept: Which Is More Important in Reality TV?” He’s going to talk about when concept should take the lead in your pitch, and when onscreen talent is more important. The talk is scheduled for a morning session on Thursday, January 22nd. GET YOUR CONFERENCE DISCOUNTS HERE! We have arranged exclusive registration fee discounts for NATPE and the Kidscreen Summit (the discount period for Realscreen Summit has expired, so move fast and take advantage of these other two if you plan to go). You do not have to purchase anything from Sell Your TV Concept Now to use the discounts. Go to www.HitMakerTour.com to get the details or call 407-351-0893. More info about the conferences below. NATPE – is the conference for pitching scripted shows, sitcoms, drama and sci-fi. 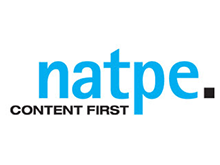 NATPE is committed to encouraging the growth and supporting the success of video content development, creations, production, financing and distribution across all platforms. NATPE runs January 20th thru January 22nd, 2015 at the Fontainebleau HotelMiami Beach, Florida and is located right on the beach. And again, Mark’s talk “Concept vs. Talent: Which Is More Important for Reality TV” is scheduled for Thursday, January 22nd in the morning. Kidscreen Summit – Kidscreen Summit is renowned as the kids entertainment industry’s most important annual event. Kidscreen’s premier annual event, has quickly grown into the world’s leading conference on the business of kids entertainment, hosting nearly 1,600 attendees from around the world. Top decision and deal makers attend to engage in critical dialogue, network and find new ideas that will drive their businesses forward. Intercontinental Miami Hotel, Miami, Florida, located on Biscayne Bay. ***Discounted rate: Based on Basic Conference Registration – no additional classes. 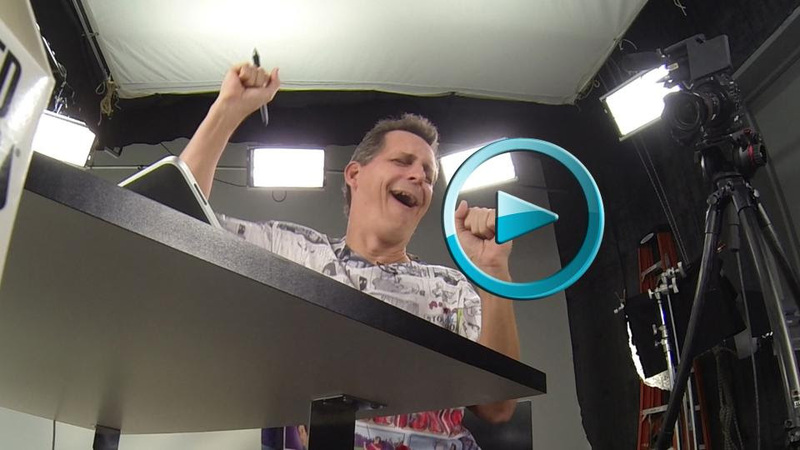 Mark just spent two weeks in lovely Santa Barbara, California, but holed up in a studio creating 67 brief instructional videos for Lynda.com on how to use Storybook Pro! Those videos will go live on December 4th. But right now, you have an exclusive look at what the experience was like for Mark on that trip in this brief video. Just click on the image below to take you to the YouTube video. Reality shows aren’t going anywhere because they are cheaper and easier to produce. But for some networks, a bit of reality fatigue has set in and ratings have dipped (Bu-bye Honey Boo Boo), enough that has those and other networks are scrambling for more scripted dramas and comedies instead. Advertisers are also helping drive the networks toward a larger appetite for scripted shows because a breakout scripted show offers more prestige. Scripted shows also attract more repeated viewings and a offer a longer shelf life in syndication along with revenues from streaming, DVD and Blu-ray sales. Bravo, the reality channel home of the Real Housewives franchises, is jumping into scripted series this December with Girlfriends Guide to Divorce. The reality E! channel follows early next year with a scripted soap called The Royals. So, if you have a scripted show idea, there has never been a better time to wave that tasty morsel in front of a network exec and have them slobbering like a ravenous zombie over a quivering handful of brains. We’ve got plenty more industry trends and news along with specific wants of various networks on our Facebook page, so please shuffle on over and follow us or be kind enough to ‘like’ us, and we’ll continue to feed your appetite for the latest TV insider scoops of brain food. Altar Rock, the suspense-thriller feature screenplay Wayne co-wrote with SYTVCN client Kristin Alexandre now has a major director aboard, Andrzej Bartkowiak, and is scheduled to go before cameras next summer with a release date late next Fall. Very exciting news! We’ll continue to update you on the production developments. From left, director Andrzej Bartkowiak, writers Wayne Carter and Kristin Alexandre (also executive producer), and producer Mark Donadio at the director’s home in Nantucket. 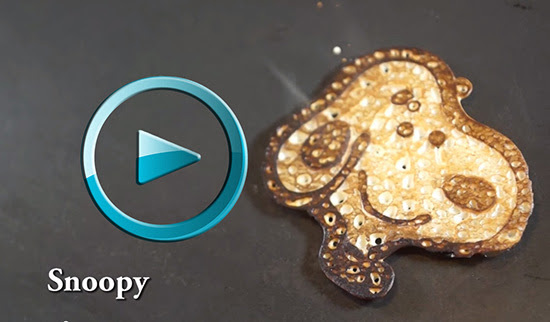 Okay, here’s something fun and unique to end our Thanksgiving edition on: Pancake Art has been around for a while, but nobody’s done famous cartoon characters with it yet. So Mark had the idea to commandeer this art skill to promote the National Cartoonist Society, and some of the classic characters his good friends in the NCS have created. The process is a lot longer and more complicated than it appears in this brief video, but we’ve time-compressed the action to make it appear fast and fun. Personally, we think there’s no batter way to glorify these great artists than this tasty tribute. We sincerely give thanks to you as our clients and for allowing us to be a part of your creative journeys.